table reports that will impress your boss! 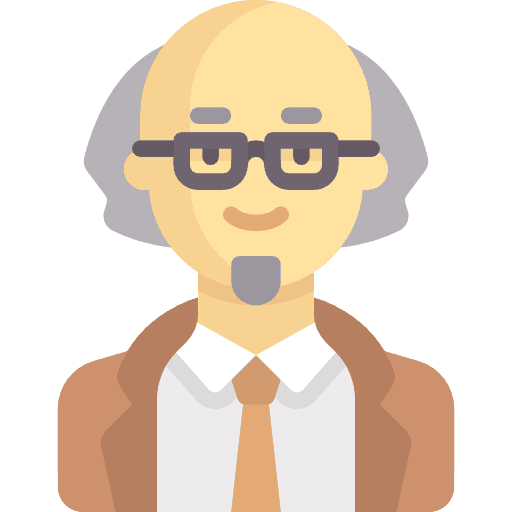 In the modern business world, every job is now part data analyst. Whether you’re in HR, sales, accounting, finance, actuarial or marketing, you need data skills. Making sense of our data is the common challenge we face across every industry. This usually means producing summarized reports that are easy to read and understand, so we can gain meaningful insights. Pivot Tables allow you to easily summarize large amounts of data and quickly turn it into meaningful insights. With little more than a few drag and drop or point and click actions, you’ll be able to summarize and visualize your data. No complicated formulas or code is required. Using pivot tables requires the least amount of effort but will give you the maximum amount of value in return. In this step by step system, you’ll learn how to create beautiful dynamic reports and dashboards your boss will love! All using pivot tables. Learn the secrets of Excel’s most useful and powerful feature which will save you time analyzing your data. The best part is, it’s all reusable! When the next set of data comes in, just add the new data and refresh the reports. Hi, I’m John! I’ve worked all over the world as an actuary and data analyst. I’ve been using Microsoft Excel for over 15 years. I started the HowToExcel website and blog in 2016 to share my passion and expertise with the world. The site now has well over 50k followers that are learning how to Excel. 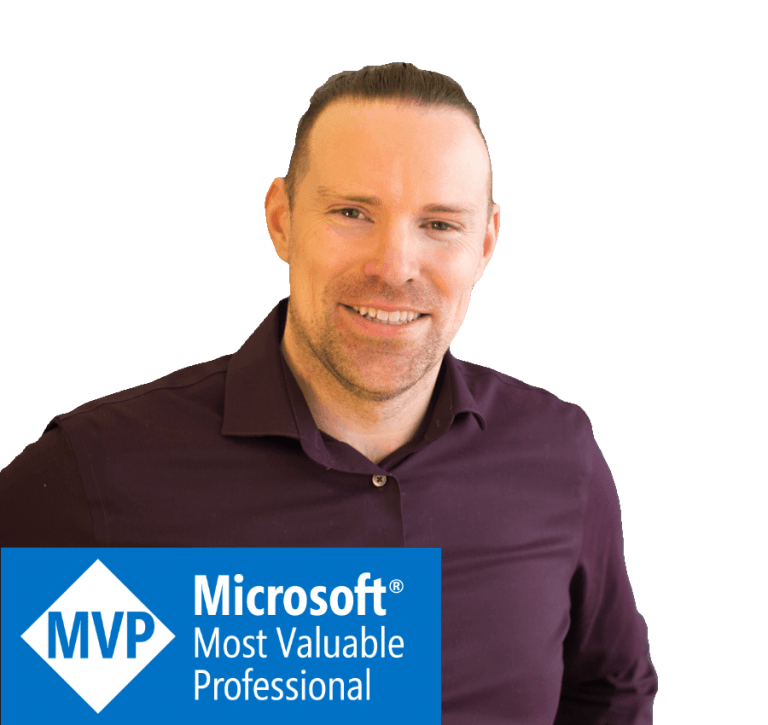 In 2017, I was awarded the Excel MVP status (most valuable professional) from Microsoft for sharing my technical expertise and knowledge with the community. This is a distinction that only 83 others around the world have been awarded! Do you use Excel frequently in your job? Do you work with data that needs to be summarized into meaningful insights? Do you want to create useful reports, analyze trends and build dynamic dashboards that your boss and upper management will love? Do you want to simplify your reporting processes, save time and create reusable solutions with your work? 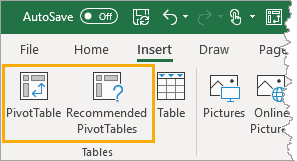 Are you not sure how to use pivot tables properly? This course will equip you with the skills to quickly transform data sets, create amazing reports, analyze trends and build dynamic dashboards that will impress your boss! 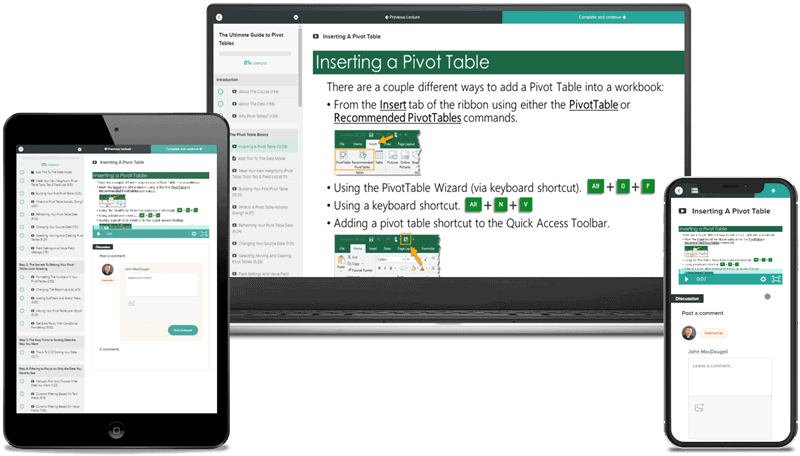 The Ultimate Pivot Table Course is an online video course that makes learning pivot tables easy with our step by step systemdelivered in manageable sized videos (average is 5 minutes long). You’ll be creating pivot tables with your own data in no time. The course is divided into 10 training modules. Each module is comprised of 5-10 video lessons focusing on a particular pivot table feature.  Each lesson is a short 5-15 minute video that helps you build your knowledge and skills. Watch any time you want in the comfort of your own home with 24/7 lifetime access. Watch on desktop, tablet or smartphone. Videos can be watched online or downloaded to watch offline. 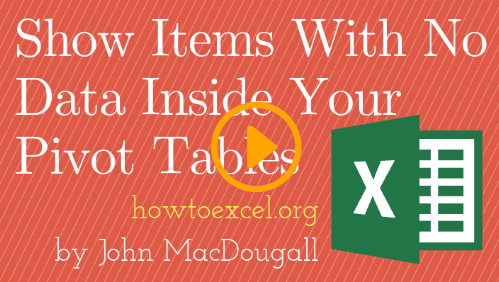 Learn all the basics you need to know to work comfortably and efficiently with pivot tables. Inserting your first pivot table using a few different methods. Getting to know the pivot table tools tab and field list. Building your first pivot table. What is a pivot table actually doing? Refreshing your pivot table data. Selecting, clearing and moving pivot tables. Field settings and value settings. 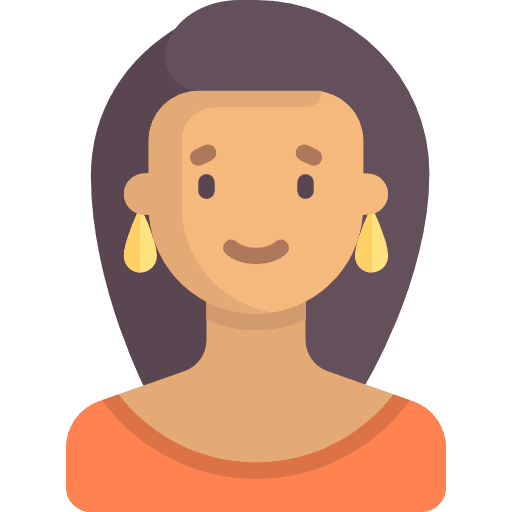 Make your pivot tables look amazing! Format numbers to make them more readable. Add or remove subtotals and grand totals. Add conditional formatting like data bars or icon sets. 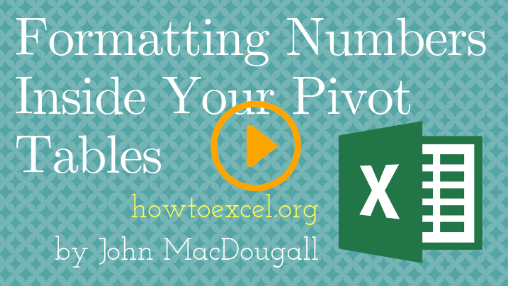 Learn the easy methods to getting your pivot tables sorted the way you want. Sort Alphabetically from A to Z or from Z to A. Sort from smallest to largest or from largest to smallest. 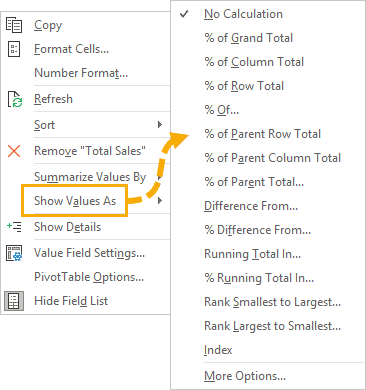 Filter your pivot tables in many different ways to see exactly the data you want to see. Create powerful and flexible filters with wildcards..
Group data together and uncover new insights about your data. Group dates into years, quarters, months or weeks. Learn how to add new calculations to your analysis using calculated fields and calculated items. Inserting, modifying or deleting a calculated field and items. Explore how to use these tools and what they’re actually doing. Learn how to visualize your pivot tables using pivot charts. Create amazing looking graphs in seconds that are dynamically tied to the data. Insert your first pivot chart. Change colours, styles and chart types. Create a user friendly filter for pivot tables and pivot charts with slicers and timelines. Insert your first slicer and timeline. Multiselect items in a slicer. Connect your slicers and timelines to multiple pivot tables. Show and hide various elements in your timelines. Learn how to create amazing looking interactive and dynamic dashboards using pivot tables, pivot charts, timelines and slicers. Your boss will love them! Create cool maps charts (Office 365 and Excel 2016 only). Align and arrange everything perfectly! 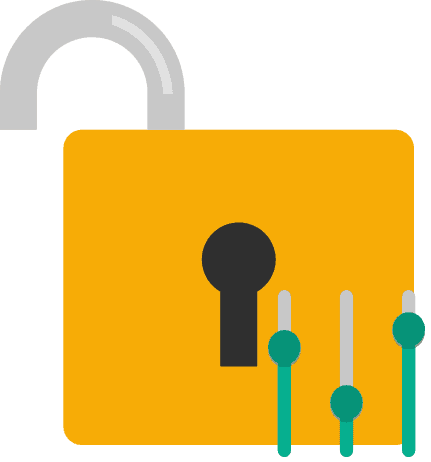 Lock down all the slicer, charts and shapes in the dashboard so users can use them but can’t mess them up. Watch the sample video from the course to help you get an idea of what the course is like! Your videos are amazing! Simple and to the point. They go beyond just the basics and explain the more advanced topics. Thanks so much for the great course. It’s already saving me tons of time in my work! Wow! 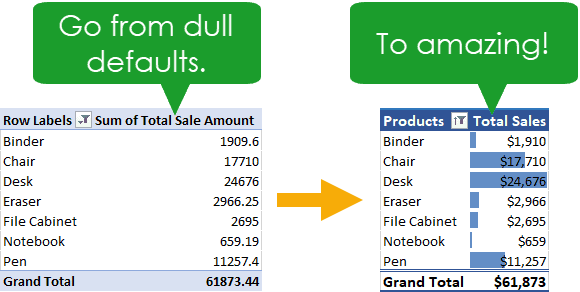 I never knew summarizing data could be so quick and easy as it is with pivot tables. Glad I found this course! I’ve never really used pivot tables before as I found them complicated and didn’t have any clue what they could do. You’ve shown me just how easy they actually are. The course was well designed and arranged in a logical order. The explanations were simple enough, yet thorough. I loved it (as much as you can love an Excel course). Clear and concise explanations with simple demos. Really awesome course!!! John responded to all my questions quickly and was able to help me with my specific data. 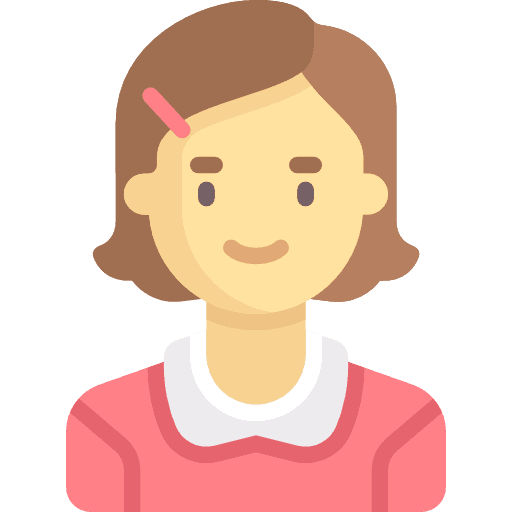 Certainly one of the best courses for pivot tables available because of the personal touch! I’ve been trying to learn about pivot tables on my own and didn’t get too far, basically I wasted a lot of time. These tutorials are organized and well presented. It’s been the key to quickly learning for me! I’m going to recommend this course to anyone wanting to get straight to it. Awesome Bonuses Just For You!!! 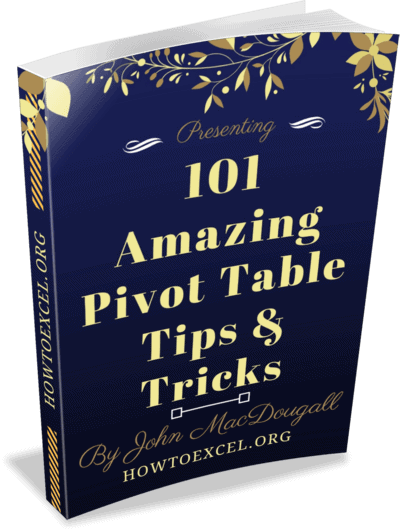 Get a free copy of my e-book 101 Amazing Pivot Table Tips and Tricks! This book is packed with an amazing 101 (well actually 102, but who’s counting) awesome pivot table tips! Fully illustrated and written straight to the point style. Many tips you won’t find anywhere else. A $29 value, but yours free when you sign up for the course. 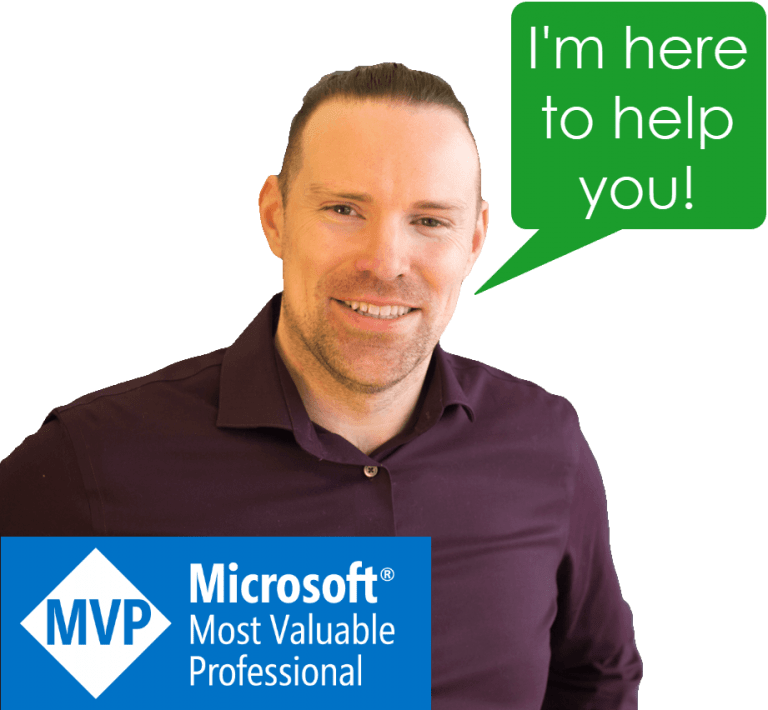 You get ME, your personal Microsoft MVP to help you every step of the way! I regularly charge clients $150 per hour for my consulting, but you get access to me for free when you enroll in the course. I’ll be there to answer any course questions and help you apply the topics covered to your own data. A $300 value, but yours free when you sign up for the course. Extra modules featuring case studies with real world data to help you practice what you learn. 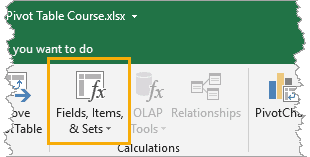 You also get the tips, tricks and settings modules to really learn everything possible with pivot tables. A $99 value, but yours free when you sign up for the course. enrollment closes soon. Don’t get left behind! Download all the workbooks and data to follow along with the course. Pause, rewind or replay any of the videos. Bookmark key learning points to come back to later. 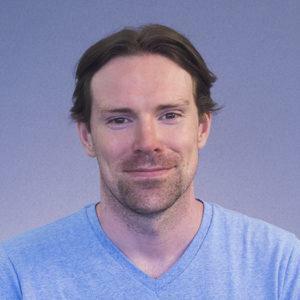 When you complete the course, you’ll receive a certificate of completion from Microsoft MVP John MacDougall. Content is updated when new pivot table features are added to Excel, so you’ll always be up to date. Content is easy to access either on mobile, tablet or desktop. Download videos to watch offline. 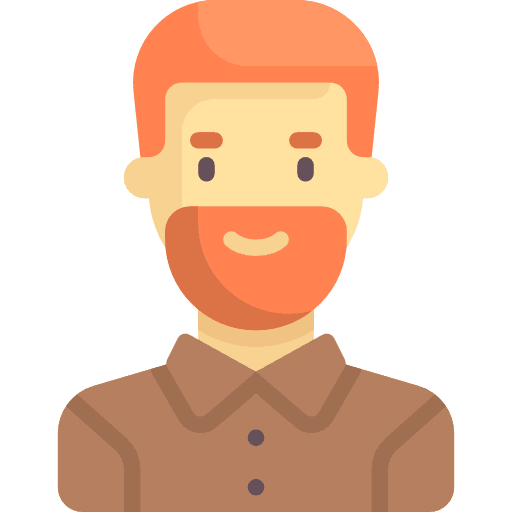 Get expert help from a Microsoft MVP. I’ll be there to personally answer your questions. By now, we all know that those with the top technical skills get the top pay. Get the skills you need to succeed and become an expert today with this step by step course to mastering pivot tables. What if I get stuck on a lesson? I want you to succeed, so I’ll be there every step of the way to help you if needed. Ask me any questions and I will personally answer you. 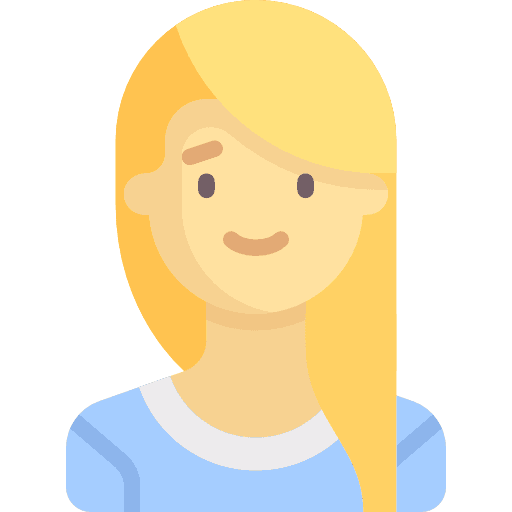 Each lesson has a comments section so you can ask your question in the relevant lesson. You’ll be able to see questions and answers from other students there as well. You can also send me a direct email too if you prefer! Is there a free option to try it out? Check out sample videos in the course syllabus. This will give you a good preview of what the course will be like. Content will be updated whenever new features are added to Microsoft Excel that relate to pivot tables. This course is entirely online and can be done from the comfort of your own home or office at any time and at your own pace. What version of Excel is this course for? The course was filmed on a PC with Office 365, but most of the functionality covered will work in Excel 2007, 2010, 2013, 2016 and 2019 stand alone versions. You can cancel your order anytime within the 30 day money back guarantee. I’m so confident this is the best course on pivot tables, that I’ll gladly give you a full refund if you don’t think so. Regardless of whether or not you’ve watched all the videos. If you are unhappy for whatever reason just email me within 30 days of purchase and you will receive a full refund. No questions asked! I stand behind The Ultimate Pivot Table Course 100%. Who is this video course for? This course is designed to take a complete beginner in Excel pivot tables to an advanced user. No knowledge of pivot tables is required, but you should have some basic Excel skills already, including entering and editing data in a worksheet. Intermediate and novice pivot table users will also gain a deep understanding and learn new tips, tricks and tools they can use. The Ultimate Pivot Table Course comes with a 30 day 100% money back guarantee. I pride myself on high quality teaching that actually works, and anything I put my name on needs to be the best! 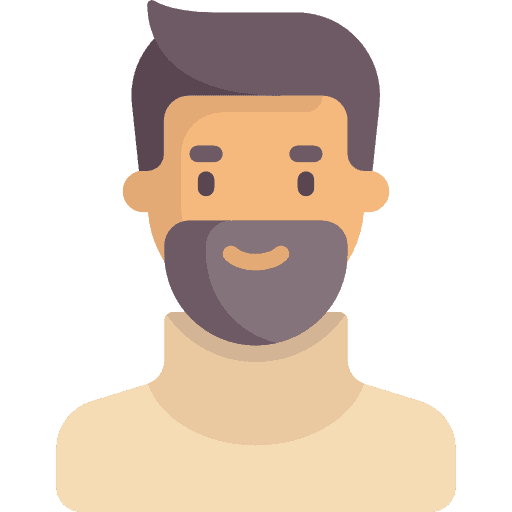 If you follow the course, I guarantee you’ll master using pivot tables. Take the whole course, watch all the videos, download all the resources. 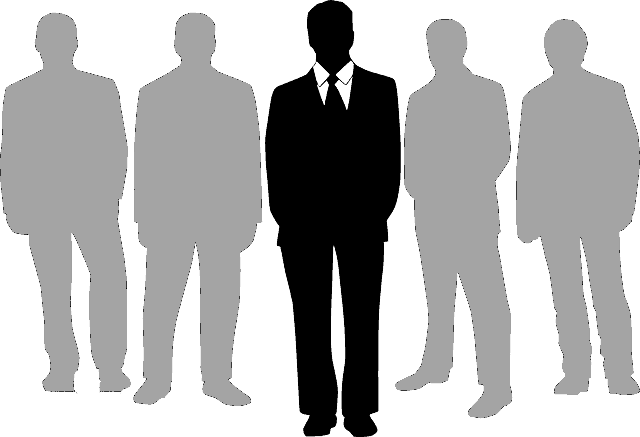 Don’t get left behind in your career by your colleagues! Get the skills you need to compete and stand out from the crowd! Enroll today!